We recently fixed a broken spring for a customer. While this is a fairly normal job we perform each week, this one was special enough for a blog post. The spring, as you can see below, broke in 2 different spots. This happens from time to time, however in this case, one break is from the spring breaking 6 months ago, and the other is the more recent one. Always Get Your Springs Repaired Quickly! The problem here is that when this customer’s spring broke 6 months ago, they didn’t get it fixed. Only when it broke the second time, did they call a garage door repair company to address the problem. This is VERY unsafe! Operating your garage door with a broken spring is a recipe for disaster. 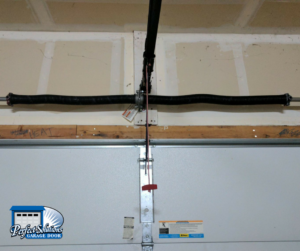 The garage door at any point could fail as the springs will not work properly. This means the door can fall quickly onto your property, or worse, a person. This will happen forcefully and quickly. Garage door openers, and their repair, can be expensive. Additionally, the time you need to wait to repair your garage door opener if it fails, can be frustrating, especially if you park your car inside and it gets stuck! Make sure that when your spring breaks, you get it repaired! And when looking for a garage door company to repair your springs, check their reviews and references! 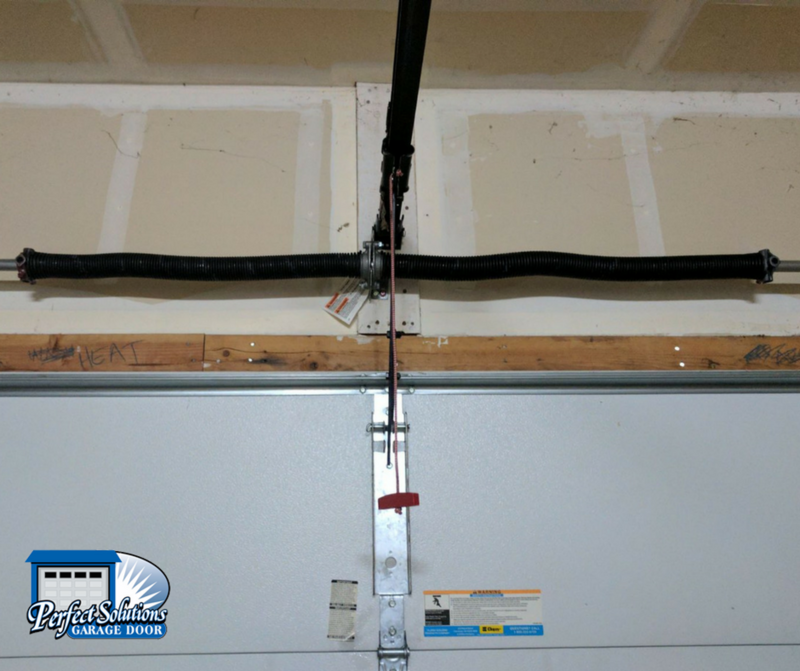 We often perform spring replacements on springs that were too small for the garage door, installed by a bad repair company. 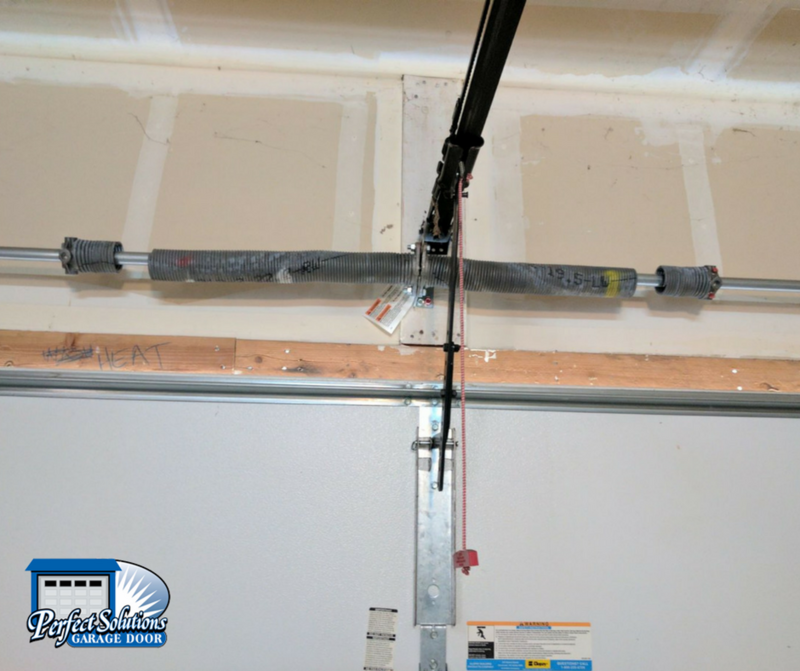 Springs that are not the right size for the weight of your garage door and installed improperly with your garage door opener, can also cause problems and unnecessary wear and tear on your garage door parts. 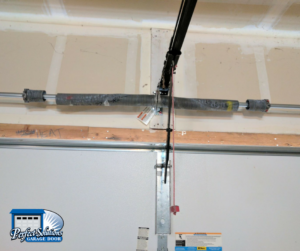 Now the spring is fixed, installed properly, and the garage door can operate safely!